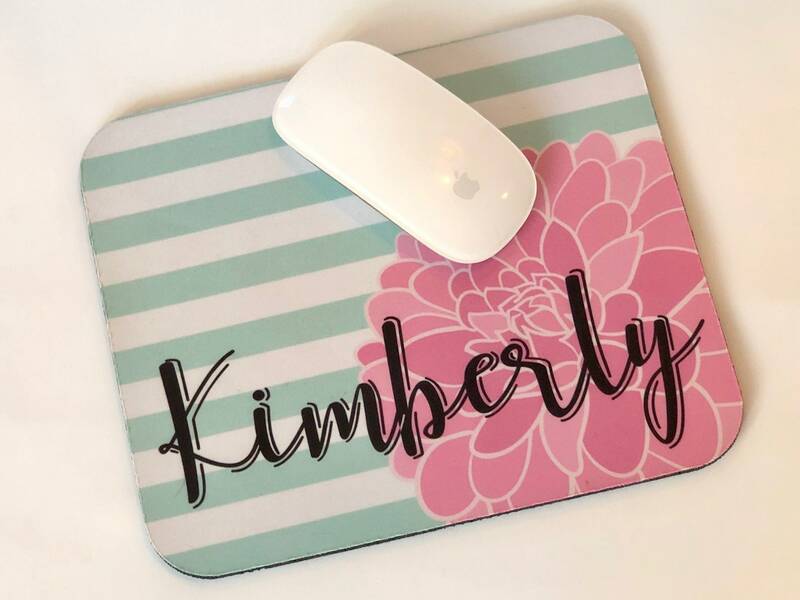 This personalized, elegant mousepad with bring some cheer to your workspace! 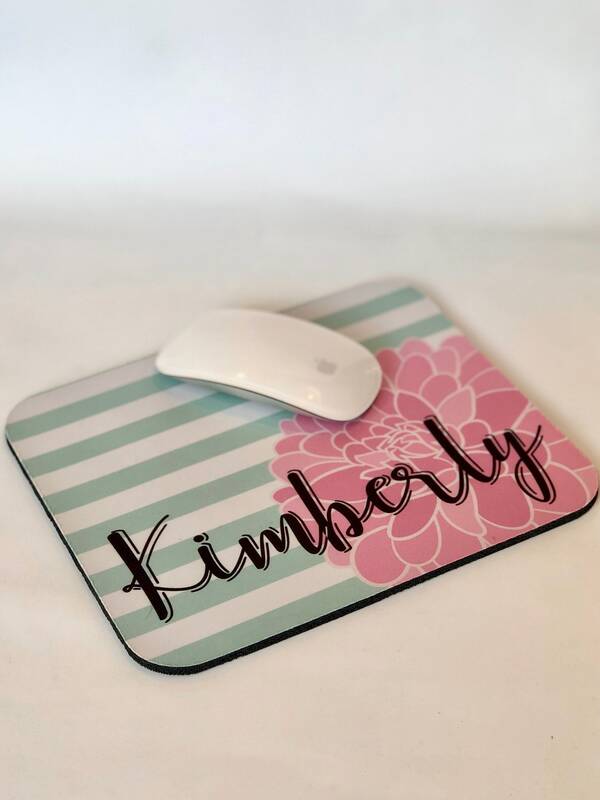 This custom-made mousepad comes with your choice of colors and personalization in a beautiful script. The mousepad measures 9 1/4" wide by 7 3/4" tall. It is made from durable, high-density black foam that stands up to the toughest mouse clicking. 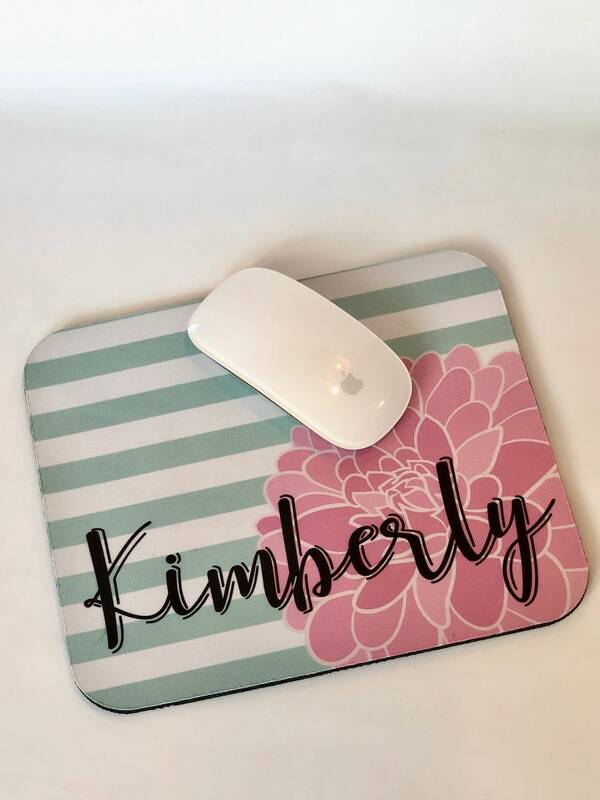 The material is a stain-resistant, interwoven cloth that is easy to clean and the back is coated with a rubber non-slip backing to keep the mousepad from sliding. 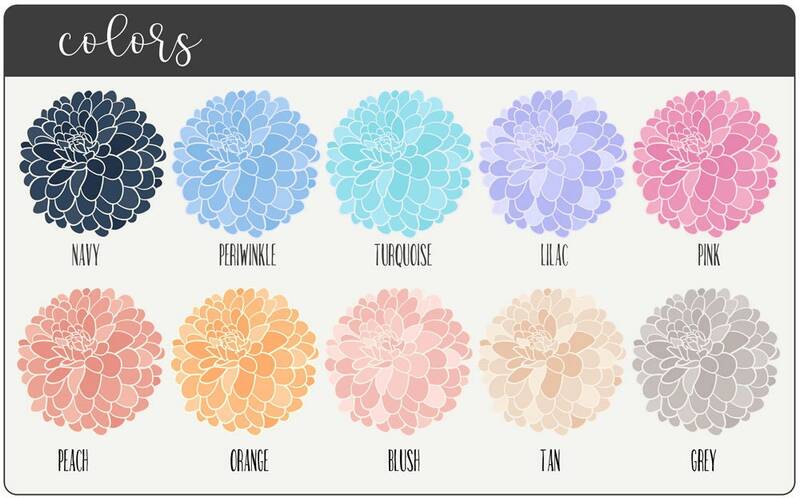 When ordering, please choose the background color for the stripe pattern and color for dahlia from the drop down menu. Enter the name for personalization.